Can you say WHAT'S UP? I'll tell you what... The size of the mrbottles Wisconsin antique bottle galleries. New items added all the time. Yesterday was an incredible day for bringing great things into the Wisconsin antique bottle collecting community. I made arrangements to meet a lady driving from Florida to her childhood home in Wausau off the Madison turnpike... Three weeks ago. Those three weeks went fast except when i thought about seeing these treasures. The two bottles are a LIGHT HONEY/YELLOW AMBER QUART Peter Barth Wholesale Liquors Milwaukee and a deep red amber pint Peter Barth Wholesale liquors Milwaukee strap sided flask. Both are minty. Both were found by the lady i bought them from in a central Wisconsin rock pile in the early 1970's. Cindy found them treasure hunting when she was twelve years old. Back in 1974 or 1975 a collector offered her $100 apiece for them. THAT was a lot of money back then. Anyone know who that was? She has moved around the entire country and finally settled in Florida with them in tow. Cindy decide they were better off in the hands of someone who appreciated them. She tried to sell them in Florida but there was no interest. The Quart is for certain a previously unknown mold variety and the pint is the same mold as the honey amber one Jon Steiner and I have with the kind of keystone mark in the slug plate ring. On the trip back home I hit Janesville area where I picked up a two gallon Wisconsin Territory stoneware Jug by Cunningham and some other odds and ends. All three will be up as spinners on the Wisconsin Antique & Advertising Club website soon. Jon Steiner has written an article about Cunningham for the club's August newsletter. What are you waiting for... Follow the link below and join that club. 03/05/2014 Additions to the galleries are made every day. 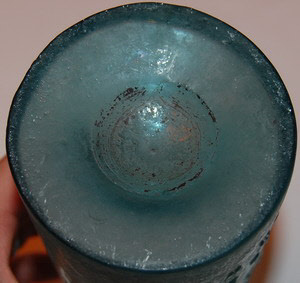 Click on this stoneware stamp to see the whole Milwaukee antique bottle then explore to find more treasure! 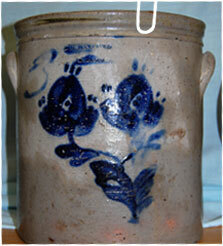 1000's of images of stoneware and bottles over the last few months and more are being added every day. Check out the galleries and keep checking them out. Want to see the most AMAZING antique bottle, stoneware and advertising gallery ANYWHERE? Check out the Spinners at http://www.wisantique.com/ and while you are there consider joining the most amazing antique bottle, antique stoneware and antique advertising club anywhere. I spent so much energy working to save the Milwaukee antique bottle and advertising club over the last couple of years it pretty much took all of spare bottle time. I gave up and joined Jon Steiner and dozens of other collectors in an amazing new club. 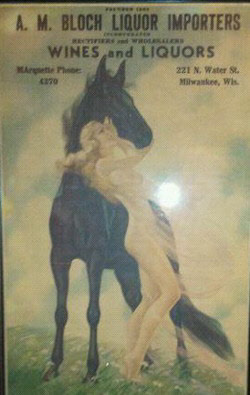 It is the Milwaukee Antique & Advertising Club. It is all of the fun, interest and adventure without the negativity. If you love the objects of Wisconsin's past and crave the information that makes them important I highly recommend this club. If you simply want to be part of an amazing positive community of collectors you will love this club. If you join I guarantee you will be glad you did. 12/19/2012 An Antique Wisconsin Oakton Mineral Spring Water Jug, A nicely decorated Maxfield butter churn and a Hermann cobalt flowered crock just turned up. These very nice people I recently met went to buy an oil painting. As they walked around the home of the owner they realized there was all sort of old things. Knowing the guy was moving out of the house and had no interest in the antique paintings they asked what he was doing with the stone ware. He said everything is for sale. The asking price... Wait for it wait for it... $5 apiece. As usual... I paid more, A LOT more. All three will be in the galleries soon. New images are going up all the time. Nate continues to plug away and I am getting them in. 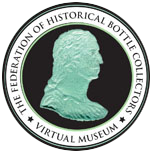 There are lots of good things happening in the collecting world including the Milwaukee Antique Bottle Club taking a proactive role in promoting antique bottle collecting for 2013. 12/14/2012 It is actually hard to believe some of the great antique bottles and stoneware that show up. Look at this pontiled pint Dr Bourbon's Aromatic Forest Bitters from Madison. Found in an antique shop for $20 with an 18% discount offered. It's mine now... I paid a lot more. 12/06/2012 Hard to believe another year almost over. Great Wisconsin antique bottle and advertising news to report. The Milwaukee Bottle Club will be putting on a second fall show at the Domes! How cool is that? The club is taking the promotion of the antique bottle collecting a lot more serious going forward. A big new MABA Club website is in the works. More content is being added all the time. I have a special little Christmas story for Wisconsin collectors. In hopes that Alonzo Blossom soon would join them there; Click here for the rest of the story. 04/23/2012 Nate has been hard at work all year adding images. I am about to start adding a lot of content... Months of it. Look for the new bottle listings. Mark Nelson's Crandon Hutch and Peter Maas's Amber blob soda just to start. Articles and information going in fast. Thanks to the Madison Four Lakes Dive Club for a gracious event last week and I'm looking forward to a big bottle hunt with you all. I have two unusual discoveries to report... One a paper label medicine from Janesville and another Hermann Pig. Same mold but no embossing. 08/28/2011 Lots of new Wisconsin antique bottle images to see on the site. If you are having trouble finding them this advertisement is a clue. Who doesn't love a pretty horse? Speaking of horses... One of my best lifelong friends just got scuba certified. On his first hunt ever he found bottles we have never seen... Look for him in the home page picture rotation. Thanks to Joe Wheeler for sending in images of incredible rarities... more bottles we have never seen. Welcome Jim Pribbernow to a lifetime of adventure!!! 08/06/2011 Wisconsin antique bottle hall of fame getting much needed updates this weekend. 07/28/2011 Have you found any incredible pontiled rarities scanning the Wisconsin antique bottle galleries? If not you need to look harder. Dozens of additions are being made ongoing. This Hopkins Mineral Water is the only example i know of. You can find it on this antique bottle website thanks to Henry Hecker... THANKS Henry! This is the only example i know of with the Milwaukie embossing and the straight collar blob. What other rarities are popping up on the site you ask? Explore Wisconsin antique bottle junkie,,, explore!!! 03/22/2011 Sheboygan Times September 2nd 1876 - Six Hogsheads of quart Mineral Water bottles, manufactured at Pittsburgh expressly for Messrs. Bertschy & Thayer were received at their packing house Thursday. These contained 96 dozen, and were the advance portion of the original order that will make about nineteen more similar packages, or 400 dozen. The bottles are made of thick, strong glass, eight-sided, with the name of the water and the firm blown in the respective sides, perfectly opaque to prevent the deteriorating influence of light on the medicinal properties of the water, and are altogether a tasteful, convenient and effective receptacle for packing, transporting and preserving the water in its best condition. They are shipped to order packed in saw dust, or in boxes with separate compartments of one or more dozens each. Fifteen of these boxes were shipped to Chicago, St. Louis and other points yesterday. Pictures coming soon. 01/22/2011 Starting to add lots of new images. Thanks to the Lauber auction. I looked at my own collection gallery this morning and thought what the hell? How I acquired the only whole pontiled Wisconsin Medicine three years ago or the Ritz's Lemon Juniper Bitters last year or the Bourbon's bitters Madison this year or the greatest find of my career the Ravenna pint Air Tight Fruit Jar without adding them to my gallery is beyond comprehension. Lots of new content coming. Check out my personal antique bottle collection gallery to see the new larger six images we are going forward. I still need to get a few more pictures taken and a few more up but you can see generally what my collection really is now. I started with the big dog in adding auction items. Check out the Wisconsin stoneware beer bottle gallery to see the Taylor and Bro that made such a ruckus. 01/18/2011 The Lauber auction was a once in a lifetime treat. Will there ever be such a huge auction of Wisconsin antique bottles covering such a state wide variety? It seems unlikely there will ever be so many examples of the same bottle to come forward at once. Most collectors want one of a variety not every example they can find. Maybe it was the desire to control the market, maybe it was a compulsive need to hoard or maybe it was a desire to understand the differences in different examples of the same bottle. I can't say for sure because John did not want to be interviewed for an article about his collecting. For collectors who just want to see the bottles John Lauber once owned I did get 750 images. You will see them going up over the next few months. Seems everybody got something. I bought a bunch selling cheap for resale and a few keepers. 12/30/2010 BOTTLES HEEYA... GET YOUR BOTTLES HEEYA... BEAUTIFUL, RARE COLORED BOTTLES HEEYA... A MAJOR Auction... One of the greatest collections of Wisconsin Bottles. January 15th and 16th at Paul Auction Co Kewaskum. Click text to read the rest of the story. Check back for updates. 10/02/2010 At the end of every summer the final tally of Wisconsin antique bottle finds for the year starts to come in. People clean out attics, basements and garages and Wisconsin antique bottle treasures filter their way to collectors. Divers, diggers, construction workers and people out enjoying Wisconsin Summer start working to figure out what they have found at the end of summer more than any other time. A few weeks ago I received an email from one such gentleman who found a bottle on a warm summer day working just blocks from the Wisconsin state capitol. Jim was on the site of a new home construction. There was a stage coach house that had to be demolished first. While raising the building what Jim believed to be a cistern was unearthed. The thing was full of old Wisconsin bottles. One of Jim's coworkers was feeding bottles to a local collector who was paying $5 for any green or blue tinted bottles. When the hole was cleaned out and the bottom of the hole had to be leveled Jim was scraping the bottom of the area with a shovel and banged against one last bottle. He threw it in the back of his truck where it rolled around for a week then took it home. One of Jim's coworkers told the collector about that last unusual looking antique Wisconsin bottle Jim found. The collector offered a whopping $200 for it without even seeing it! Not a bad bonus for a day's work, especially for a nineteen year old fledgling construction worker. Jim decided not to sell. Now months later, Just like happens at the end of so many summers Jim decided to find out what that bottle he found was really worth. Unlike so many people who find bottles Jim waited 35 years to make contact, yep, Jim found this antique Wisconsin bottle treasure in 1975 a full 420 months and 35 years before he made contact. I will eventually write the whole story of this bottle. For now you will simply have to settle for a couple of pictures. Jim's bottle; Dr. Bourbon's Aromatic Forest Bitters Madison, Wisconsin. Deep aqua in excellent condition AND iron pontiled. 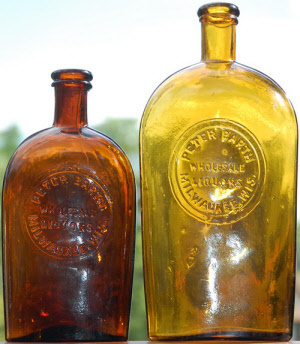 9/30/2010 New antique bottle content is continually added at mrbottles.com. A lot of great stuff has been going on in Wisconsin antique bottles all year. Having found a box of bottles and trash and then having run completely out of air last year before I could recover it I was obsessed with finding that box. I finally did after 25 tanks. Along the way I found a bunch of other garbage and interesting items. Most notably the iron pieces of an 1872 patent Milwaukee Cast iron Stove, a Fred Pabst stamped ice tool and an excellent condition extremely rare iron pontiled, Ravenna glass works, half pint Air Tight Fruit jar. I will eventually write the story of the spot for the antique bottle hunt pages. Any time you can find pontiled antique bottles in Wisconsin is a great time for a Wisconsin antique bottle hunter. So where is that new antique bottle content you ask? 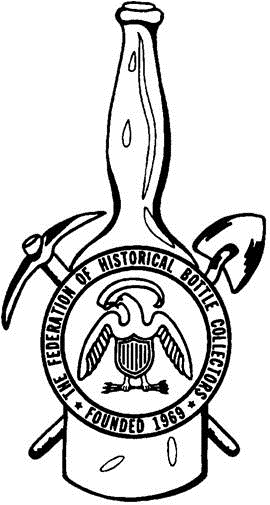 As the president of the Milwaukee Antique bottle club I write for the newsletter every month. I am now posting those pieces under the "Of Interest" Tab on the coil spring navigation above. You will find new antique bottle content in the hunt pages, the articles pages and the bottle club page. There are also dozens of new Wisconsin antique bottles and antique stoneware in the galleries and assorted new content all over the site. 05/06/2010 In October I took the reigns as the president of Milwaukee antique bottle and advertising club. Sounds like more than it is yet does take time I used to spend on this antique bottle resource... There is only so much time to spread around. For the Milwaukee Antique Bottle Club I basically lead meetings with a little business, as much bottles and advertising as possible and write for the newsletter. It is all about sharing information so my newsletter pieces are and will be posted here for everyone to read. Click here to view the page. 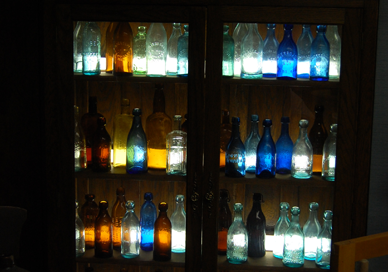 You will also find a lot in the Wisconsin antique bottle galleries, The Hunt, and News pages. There will be more every month at least. As I write for the Milwaukee Antique bottle club newsletter I will publish here. 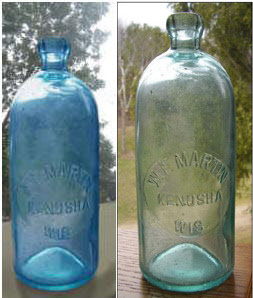 Wisconsin antique bottle news since November is substantial. Two Ritz Lemon Juniper Bitters bottles Milwaukee turned up in a central Wisconsin barn wall. It is a great antique bottle story I will be writing in the future. Another Milwaukee Bottle Show passed with very good feedback all around and recently a digger from Milwaukee showed up on the scene with a bunch of early Milwaukee antique soda and antique beer bottles including a Wolf amber Hutchinson soda. It's nice to see good stuff coming out. Recently diving I found what I believe to be the best whole Oconomowoc medicine bottle ever recovered. Not an Uncle Sam's Cough Cure but real good. Feel your way through the new content there is a lot of fun and interesting information and a great deal more than I have time to write now. Don't forget the Glass artisan is the experts expert when it comes to cleaning antique bottles and cleaning antique glass when it comes to perfect cleaning while preserving the integrity and character of your antique glass. 11/05/2009 You are booked February 14th, 2010. You as an Milwaukee or Wisconsin antique bottle collector have a date with other people who share your love for antique bottles Valentine's Day 2010. See our antique bottle collecting calendar for details or table rental information if you would like to sell at the Milwaukee Antique Bottle and Advertising Club show. A new Wisconsin antique bottle service main page is up to check out with the main focus being The Glass Artisans antique bottle cleaning and antique bottle polishing and antique glass cleaning services. 09/30/2009 FRAUD ON CRAIGSLIST ANTIQUE BOTTLE COLLECTORS BEWARE read the whole story by clicking this text. 09/10/2009 I wrote a story of finding a bottle four months ago for another website. One of my employees added it to the site under HUNT if you want to read it. Don't forget to contact the glass artisan if you need antique glass and antique bottle cleaning. Big things are happening in Wisconsin antique bottles. 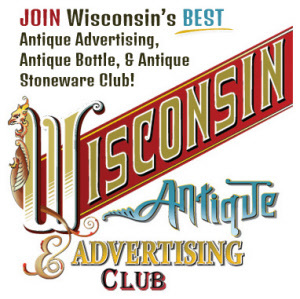 The Milwaukee Antique Bottle and Advertising Club is looking at ways to make the Milwaukee Antique bottle and Advertising Club even better for Milwaukee and Wisconsin antique bottle collectors. There are some cool ideas floating around. If you are a member of the club please get to the meeting in October and be part of the steering committee. Bring something for show and tell and maybe something for sale. Try to make it "good stuff" I know I will be bringing one great antique bottle for show and tell and one great antique bottle for sale. Rarely does the opportunity come to be part of making something great even better ‘from your own perspective'. Sorry about the color of text. Gondrezick and Zweitusch green are my favorite colors lately... I don't know why. 09/09/2009 click this text to Check out the work of a master antique bottle polishing extraordinaire. The Glass Artisan polished one extremely rare Milwaukee antique bottle very lightly restoring this antique glass to original luster. 09/07/2009 I am replacing all of the images in the home page rotation with new ones. 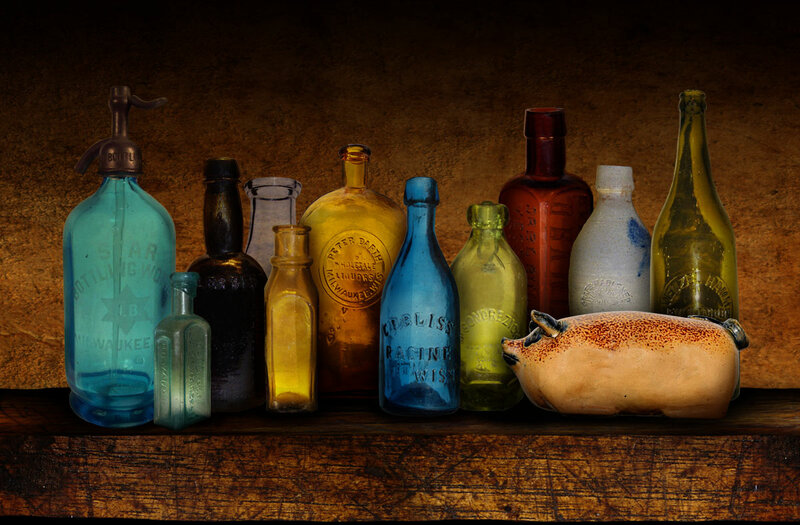 The old bottle collecting images were distorted when they were made larger for the new site layout. Please send any image of antique bottle collectors out collecting or just hanging out for addition to the home page. Send them big I will crop and size them. Happy Labor Day all you antique bottle collectors. Today we have a special treat from mrbottles.com author Tim Wolter. Tim documents the history even prehistory of The Chippewa Falls Wisconsin Spring water Company. Great information about the history of some very cool Indian embossed antique Wisconsin Mineral Water bottles. 09/06/2009 You have heard the story of a wagon full of Madison Wisconsin antique Hutchinson soda bottles sinking in a lake? Well, now read it as told by someone who was there! This article by new friend of the mrbottles site Mike Muetz even has an 1880's era photo!